Alison Grice Barrios, broker/owner of the Barrios Real Estate Group, has been passionately serving her clients as a licensed Realtor since 2004. As the leader and listing specialist for her real estate team, she works with clients across the New Orleans metropolitan area to sell their properties for the most money in the least amount of time. She provides expert advice on staging, marketing, negotiating, and all other phases of the home selling process. Alison works collaboratively with her clients to develop a unique listing plan to meet their needs. Alison is an active member of the real estate community both through her award-winning sales achievements and her ongoing commitment to community service. She has been featured on HGTV’s “Live Here, Buy This” and Curbed.com as well as being quoted in New Orleans City Business. Alison is extremely active in the Women’s Council of Realtors and is currently serving as the Louisiana Network State President. In 2017, Alison was awarded Entrepreneur of the Year by the New Orleans Metropolitan Network. 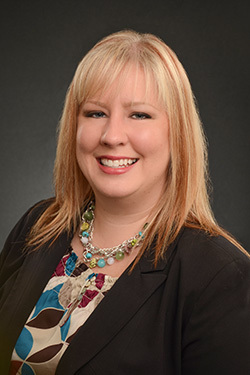 Alison keeps her knowledge of the real estate market current by attending as many training events as possible on both the local and national level. She holds designations as an Accredited Buyer Representative and Seller Representative Specialist. Alison has a B.A. in history from the University of New Orleans. Alison is a native New Orleanian dedicated to making this city and the surrounding metro area the absolute best it can be. She and her husband, Troy, who is the Buyer Specialist for the team, recently purchased a home in Old Arabi where she is extremely dedicated to the Old Arabi Neighborhood Association as well as St. Bernard Parish. She can be seen most days networking around her neighborhood with their rescue dog, Chancey. Updated: 22nd April, 2019 10:20 PM.